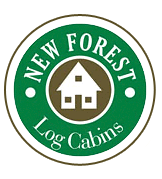 Here at New Forest Log Cabins we pride ourselves on supplying a complete range of quality timber products. We use the very best log craftsmen to design and produce the cabins and houses. Swiss milling machinery is used to deliver a superior product engineered to the highest quality using standards and we guarantee our workmanship and materials for 5 years. All log buildings supplied and built by New Forest Log Cabins have German fixtures and fittings with double-glazing as standard. provide a realistic approach to customer needs. promise to deliver superior products at a price that represents excellent value for money. assist customers from site design to implementation. total focus on customer satisfaction. These are the qualities that set New Forest Log Cabins Ltd apart from other companies! John Rudd is the Sales Director at New Forest Log who confirmed that they are able to offer a full turn key project if required and can work to whatever stage of construction the client requires and goes on to say that he will guarantee to offer his clients a personalised service to take care and look after their project from day one to completion.